Angela Duckworth, PhD, is a 2013 MacArthur Fellow and professor of psychology at the University of Pennsylvania. She has advised the White House, the World Bank, NBA and NFL teams, and Fortune 500 CEOs. She is also the Founder and Scientific Director of the Character Lab, a nonprofit whose mission is to advance the science and practice of character development. She completed her BA in neurobiology at Harvard, her MSc in neuroscience at Oxford, and her PhD in psychology at the University of Pennsylvania. 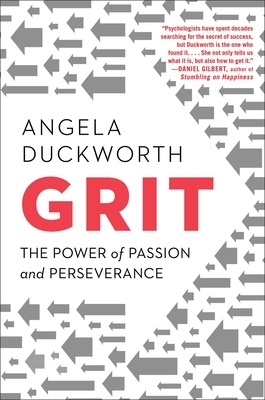 Grit: The Power of Passion and Perseverance is her first book and an instant New York Times bestseller. One of "The Hottest Spring Nonfiction Books"
A "Leadership Book to Watch for in 2016"
A "Must-Read Business Book for 2016"
One of "The Year's Best Life Hacks"
"Angela Duckworth [is] the psychologist who has made 'grit' the reigning buzzword in education-policy circles...Duckworth's ideas about the cultivation of tenacity have clearly changed some lives for the better...In this book, Duckworth, whose TED talk has been viewed more than eight million times, brings her lessons to the reading public." "It really isn't talent but practice—along with passion—that makes perfect, explains psychologist Duckworth in this illuminating book. Inspiration for non-geniuses everywhere."